Why is 2018 such an important year for 5G transformation? While some early adopters have been open about plans, investments, and trials, most of the work has been out of public view. Intel and our partners have been involved in many of the earliest 5G trials, and we have delivered new services in the current LTE, 4G environment that pave the way for 5G services. These early successes have amplified our excitement for what is here now, and what is just around the corner. Major communication service providers are ramping up significant 5G expansion in markets around the world, and it’s only the beginning. Now is the time to show the world what is possible with 5G. From CES and Mobile World Congress to the NAB Show and beyond, we are proud to help our partners and customers leave significant 5G milestones in the dust. We’ve done this through new Intel solutions and pre-configured offerings with partners that accelerate digital transformation of the network, cloud, and client. I’m excited for the lucky people who will experience 5G-powered services at high-profile events this year. Unlike previous network transitions, I find myself talking about 5G with professionals outside of the traditional telecom industry. As I connect with people from casinos, hospitals, retail, manufacturing, logistics, government and other industries to explain what 5G can do for them, it’s thrilling to see how broadly 5G will touch almost every business. In 2018, we will back up this talk with action and proof points. Did you hear that the Las Vegas Convention Center lost power for two hours in the middle of the annual Consumer Electronics Show (CES)? Yes, the blackout was a humorous and ironic diversion from the mind-blowing consumer experiences and services on display, but it didn’t dampen the excitement around the 5G future. CES is where people come to see a range of tech concepts, from the practical to the esoteric. From Intel’s investments in autonomous driving vehicles and connected IoT devices to immersive virtual reality and high-definition, entertainment content, it was awe-inspiring to experience much of this change first hand. While we gave a glimpse of the future, we showed how some companies are delivering new services today with edge computing, 5G, network virtualization and communication infrastructure technologies. Communication service providers are using these technologies to reimagine the networks that can bring services, such as IoT, to life. Intel and Nokia* hosted daily showcases of our joint smart stadium solution and work with China Unicom* and Tencent* to deliver new entertainment experiences at Mercedes-Benz* Arena in Shanghai. Download the new case study here. I was also honored to join Toyota* and Ericsson* to announce the Automotive Edge Computing Consortium (AECC), which will advance edge computing, network architectures and computing infrastructures with autonomous driving and automotive big data as a critical use case. It’s very appropriate that mobile innovation found a natural fit in the sporting world. Fans celebrate as athletes push the boundaries of their physical endurance, strength, speed and skill in search of the ultimate individual or team championship. In our industry, we celebrate similar accomplishments that push our collective boundaries. In soccer, football, basketball, tennis and other sports, crowds gather to cheer their teams to victory. Connecting to their smart devices, we’ve shown how fans that attend the event live attendance can have a rich, multi-media experience even more compelling than their high-definition televisions and home theaters. In preparation for my panel session at IBC2017, I authored a blog titled, “Sports, Heroes and 5G: Delighting Consumers, Monetizing Mobile Entertainment Experiences,” that painted a picture for how 5G will revolutionize the sports, content and broadcasting industries. Intel and its partners are proving this new use case where it matters most – on the field. From soccer matches and concerts in smart stadiums, like Mercedes-Benz Arena in Shanghai, to worldwide sporting events this winter in Asia-Pacific, Intel and its partners will showcase new 5G services that deliver high-quality, immersive entertainment experiences. Read more about 5G innovations and preparation for the global competition held this February. At Mobile World Congress, we will show how 5G has already changed fan experiences and preview what’s coming next. I am honored to host a panel on Monday, February 26, 2018 to talk about how 5G, edge computing and smart stadium innovation deliver a personalized entertainment experiences, giving fans more control of how they interact with their favorite leagues, teams and players, whether viewing in virtual reality or sharing 360-degree views of the best plays of the game on devices and digital channels. Learn more about the panel. Our panelists will include Marta Aubia, Innovation Strategist, FC Barcelona; Emili Planas Quintana, CTO and Operations Manager, Media Pro; Alfredo Bermejo, Digital Director, La Liga; Jason Elliot, 5G Market Development, Nokia; and Jonathan Levene, Director, Intel Sports. Join us on Monday, February 26 from 13:30 – 14:30 in Hall 4, Auditorium 3 to learn how we are changing entertainment experiences. In the Intel booth (Hall 3 Stand 3E31), we are excited to highlight new technologies and the incredible work of our partner ecosystem and shared customers in moving us into the 5G future. 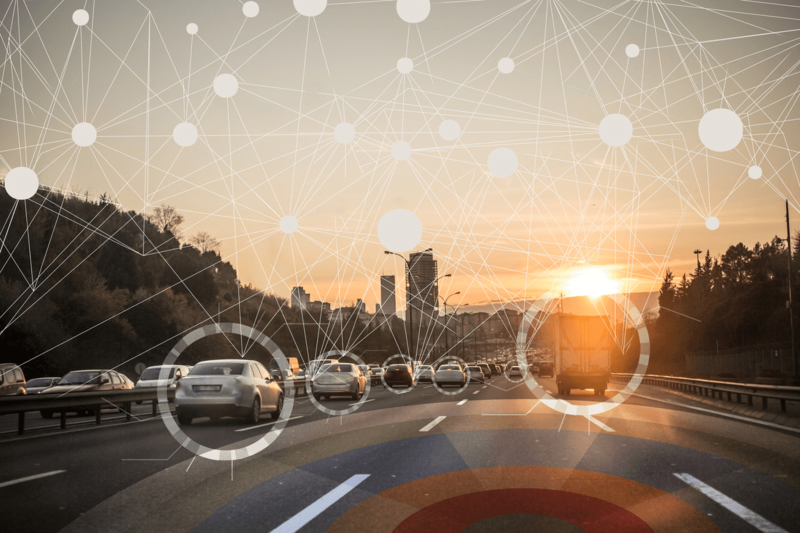 Connected Car: We will showcase our connected car collaboration with Toyota, NTT Docomo*, Denso* and Ericsson* based on edge computing. The demonstration uses 5G to connect the network to vehicle radios, integrate vehicle-to-everything (V2X) and power the infotainment, including navigation, mapping, alerts and more. 5G Media & Entertainment Transformation: Media content, gaming, and virtual reality are key workloads that will drive early monetization efforts with 5G investments. Experience VR gaming and real-time, 360-degree video streaming, plus interactive in-stadium services. Use new two-in-one devices to interact with the Smart Stadium for varying point of view video streams and more. The services are made possible by Intel’s work with Nokia and the AirFrame MEC solution. Smart City: The smart city utilizes the Intel FlexRAN platform as a hub to connect various IoT end-points and devices. In partnership with Supermicro, ZTE, and China Unicom, end-to-end 5G connectivity allows city governments to tap an array of IoT monitoring devices to manage city assets and track environmental conditions, such as air pollution levels. Integrated drones deliver information for traffic management, assist with Amber alerts and disaster or emergency responses, while facial recognition technology can be used for security purposes. Real-time data is delivered through an interactive dashboard to give city managers the information required to make decisions and take preventative or corrective actions as needed. I invite you to join Intel and its partners at industry conferences, sporting events or social channels to experience a small set of services that 5G will make possible. While the innovation and creative application of 5G technology to date has been impressive, I’m even more excited to be part of what’s next. 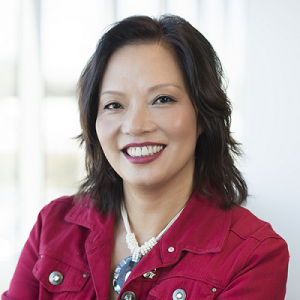 Caroline Chan is General Manager of 5G Infrastructure Division within Intel’s Network Platform Group. Caroline has overall responsibility for Intel's global network infrastructure strategy and solution development related to 5th-generation wireless technology. Chan and her team identify and develop use cases that incorporate the Internet of Things, innovation in wireless technologies and deployment models. Next article:It’s a Store, it’s a Distribution Center, it’s a Community Center!